A perfect day. Lots of sunshine, warm even on a beat, and very little chop in the southern Strait of Georgia. 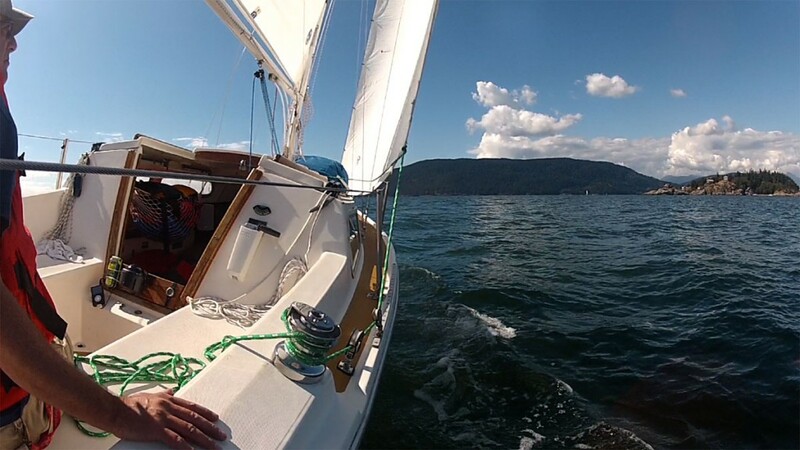 Madsu on port tack, shot with a GoPro mounted on the pushpit. Sunshine all day today. A light southerly kept Madsu doing 4.5 knots under the 150% jib and full main. Lovely day.